Are you looking for effective ways to improve your blog’s search engine rankings? Well, one of the most common methods is will the use of search engine optimization, also known as SEO. If your blog isn’t optimized properly, you decrease your chances of enticing search engines. Have you ever visited a blog where all of the posts are housed on a single page? If so, you know that this page scrolled down endlessly. Not only does this give the blog a congested look and feel, this page takes an unusually long amount of time to load. With pagination, your blog will display a certain amount of posts on a page. Then, readers must click “next” to get to the next set of posts. Pagination makes it much simpler for the various search engines to crawl and understand your content. This also helps to keep your archived content more organized, helping search engines determine the important SEO keywords within the content. Your blog’s content should always be easy to locate for your readers, as well as search engine bots. The deeper a specific piece of content is buried, the more clicks that will be required to reach it. This makes it almost impossible for these pages to get indexed properly and quickly, increasing content find-ability. For best SEO practices, help search engines understand how various pieces of content relate to others on your blog. How do you accomplish this? Add links to related articles or other content at the end of each of your blog posts. This helps to increase your blog’s link equity, which increases your search engine rankings. It also encourages readers to continue reading. Think of “previous” and “next” links as turning pages in a book. These links increase user interactivity, keeping them on your blog longer. They also help to improve your PageRank by improving your link equity, which is very important for good SEO. Never add a new category for each post. If you have too many categories, the amount of content in each one will be very limited. Each individual blog post should only be assigned to one blog category. When you add them to multiple categories, you leave search engines thinking that there’s duplicate content within your blog. SEO is no longer just about keywords and Meta tags. Optimizing your blog also involves making it easier for search engines to crawl your posts and determine which are related to each other. All of these efforts help business owners increase the search engine rankings of their blogs. Looking for more SEO blogging tips? Check out Chad’s Blog to learn more. 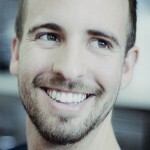 Chad Goulde is the Online Community Outreach Coordinator for TheBlogbuilders.com. He enjoys writing about SEO, Social Media and anything to do with blogging. When he’s not online he enjoys surfing and hanging out with his British bulldog Rufus.